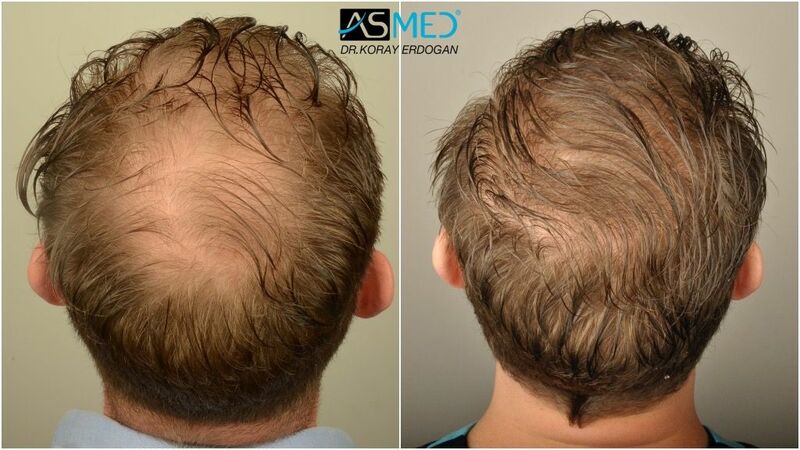 2700 grafts FUE extracted by titanium manual punch , diameter 0.7 - 0.9 mm. 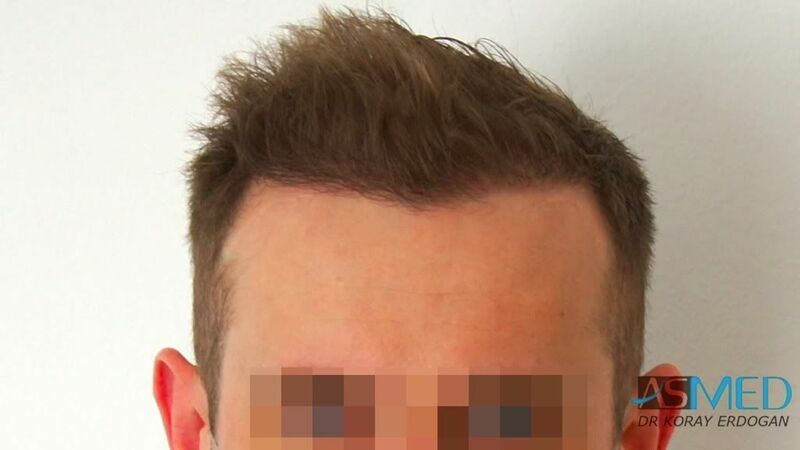 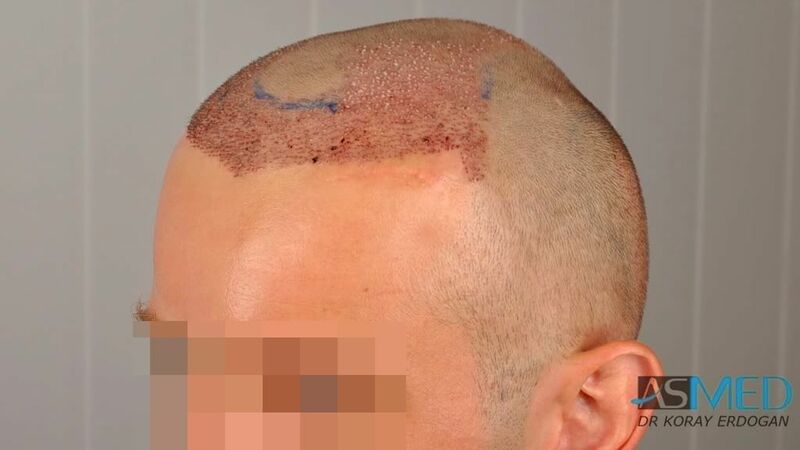 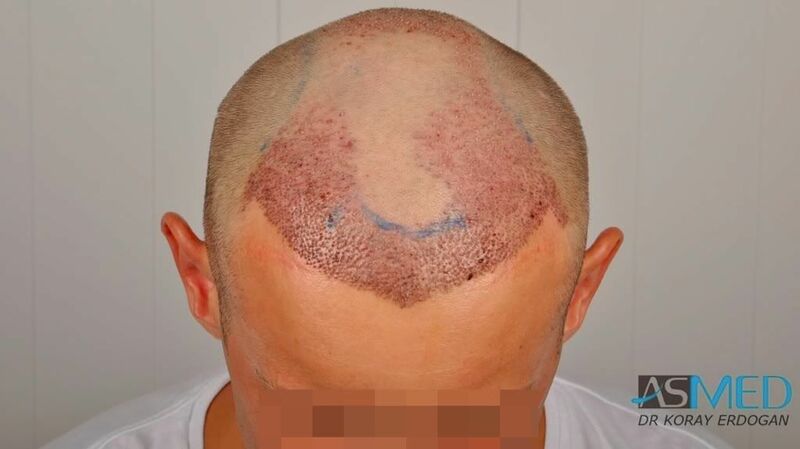 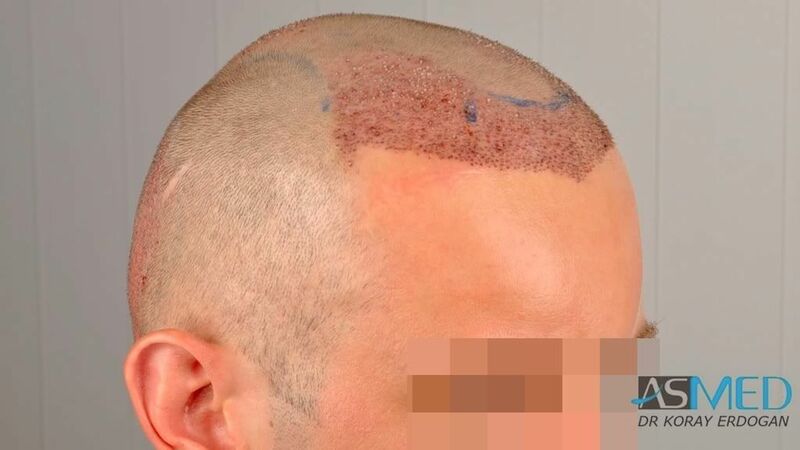 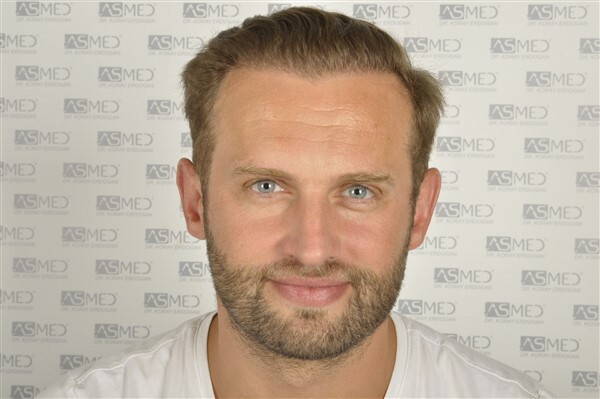 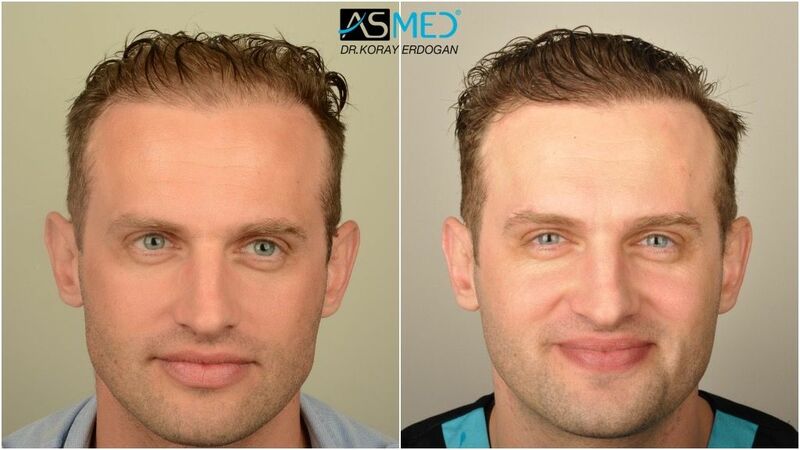 The patient has given us permission to publish his pictures with uncovered face.This is very important to understand how the creation of a natural frontline significantly improves the perception of one person’s facial features. 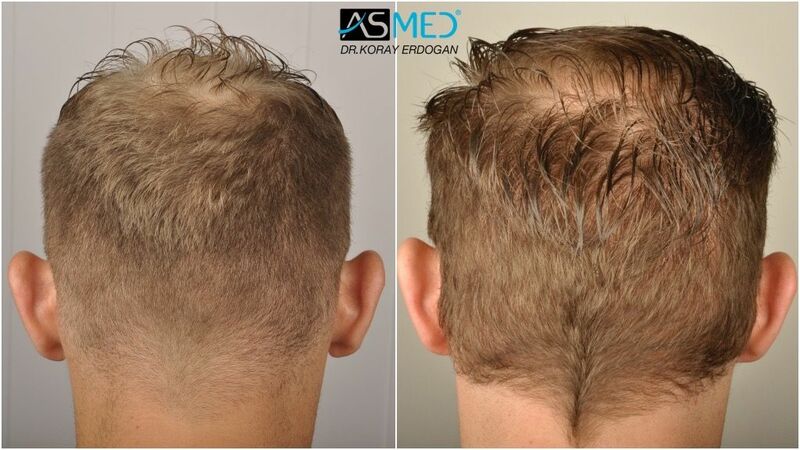 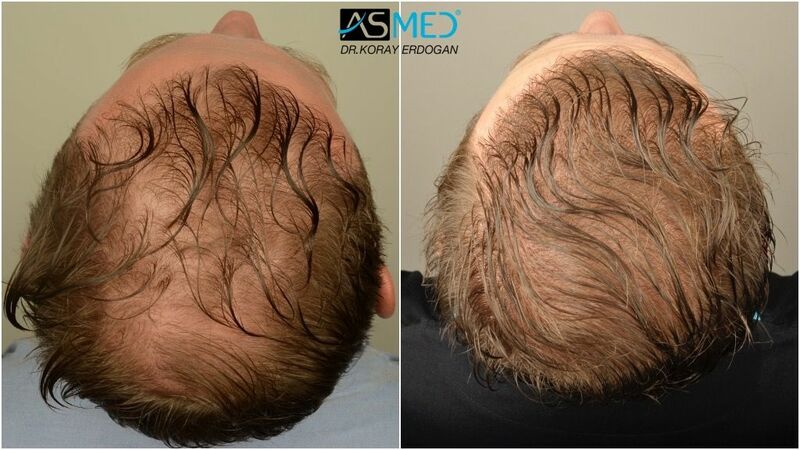 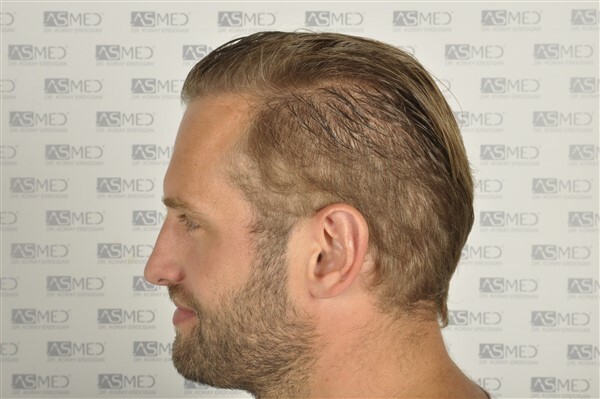 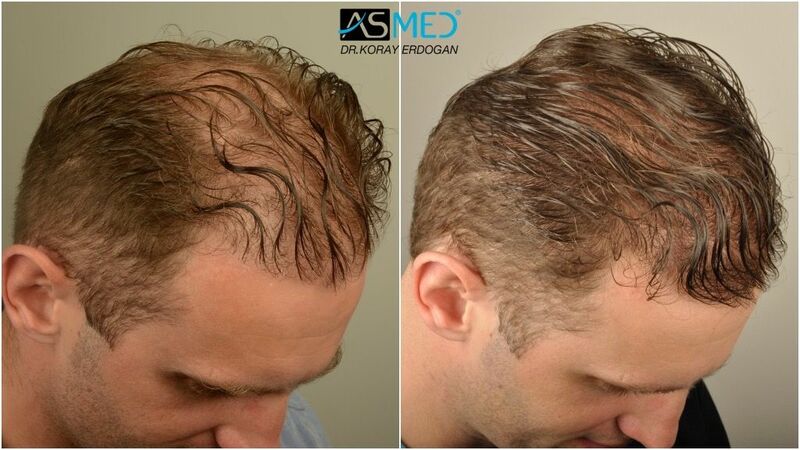 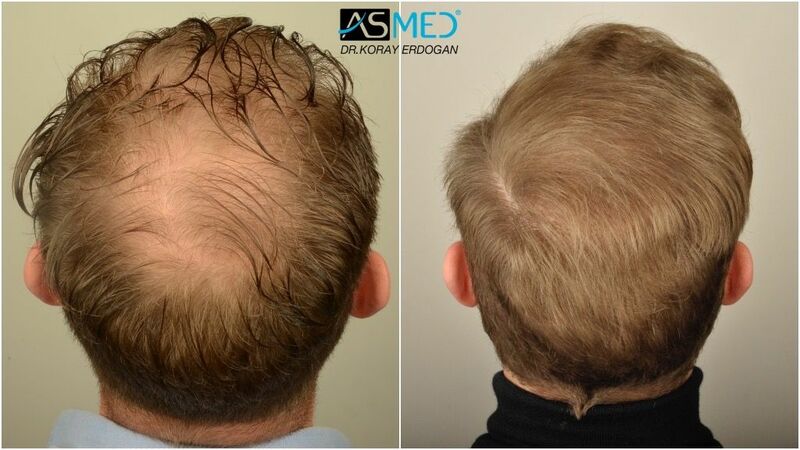 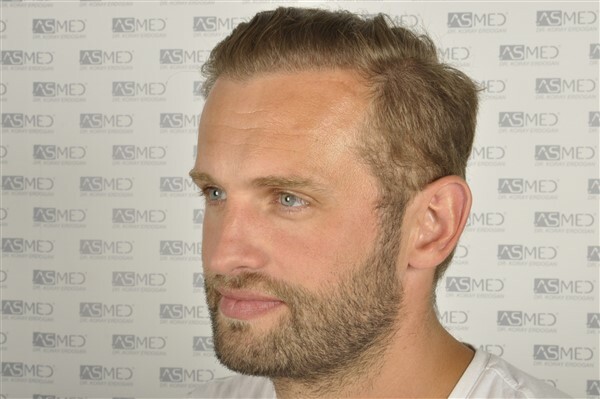 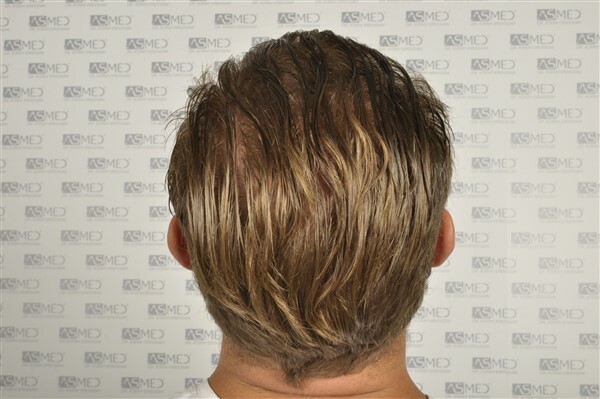 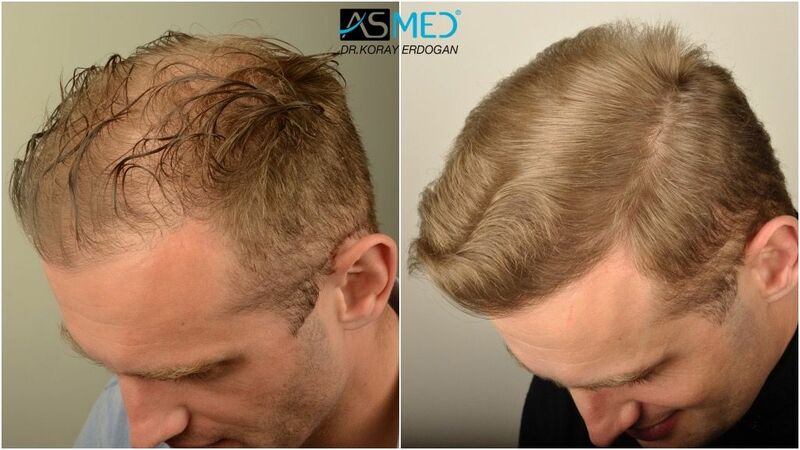 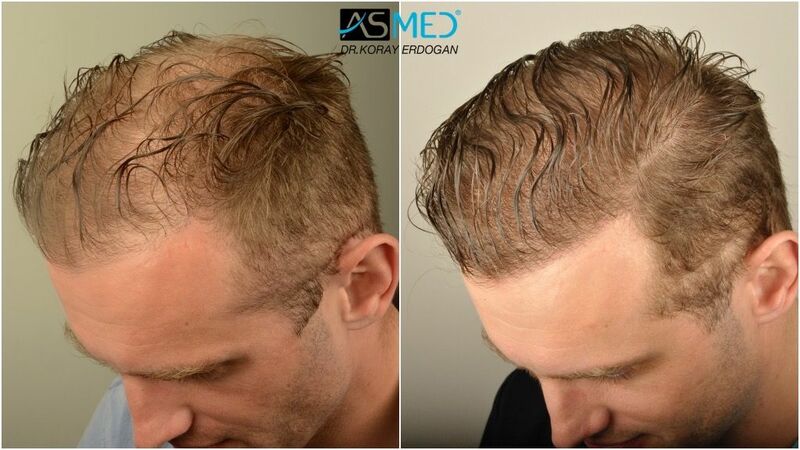 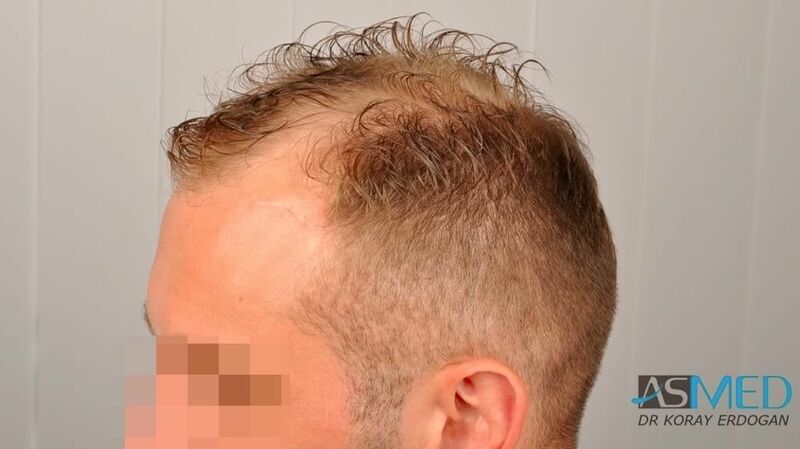 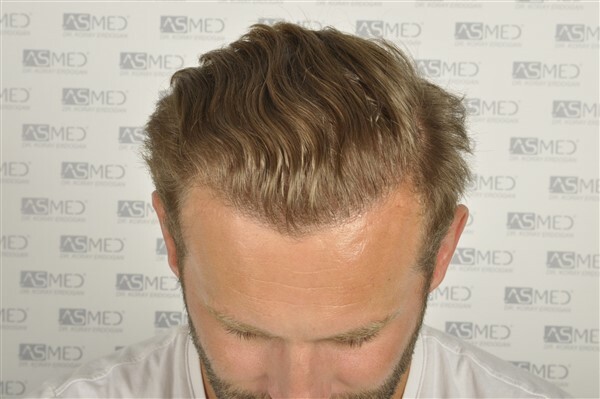 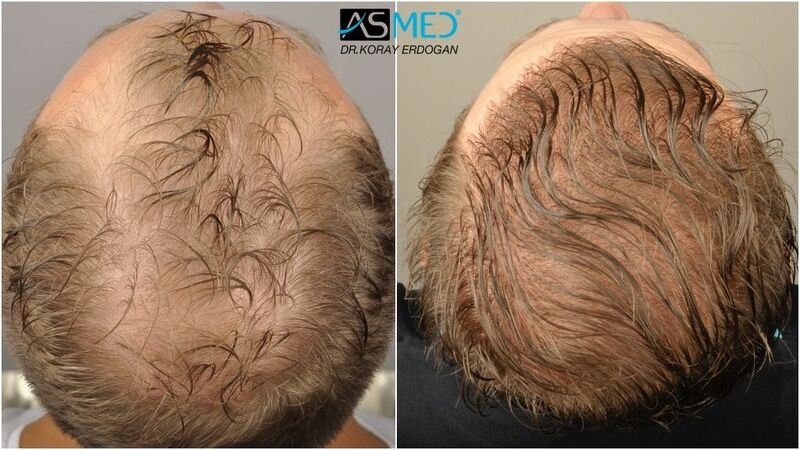 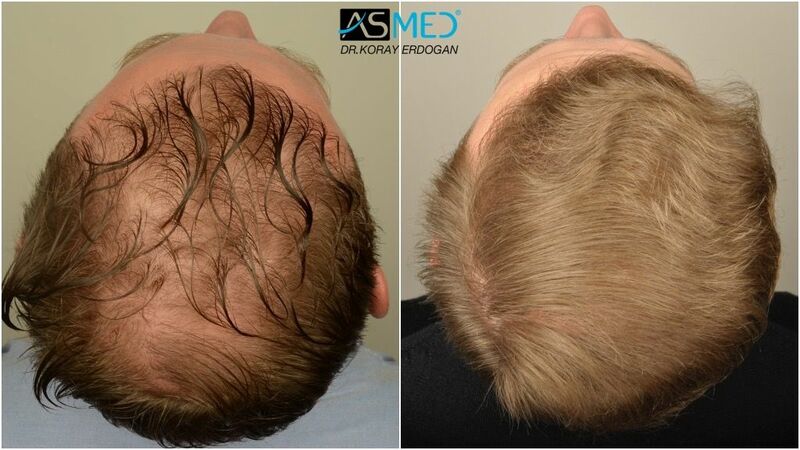 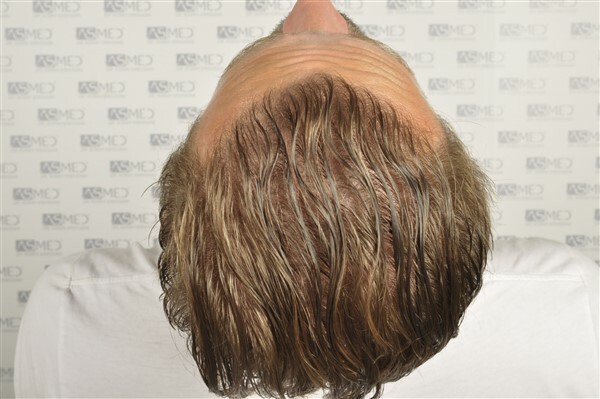 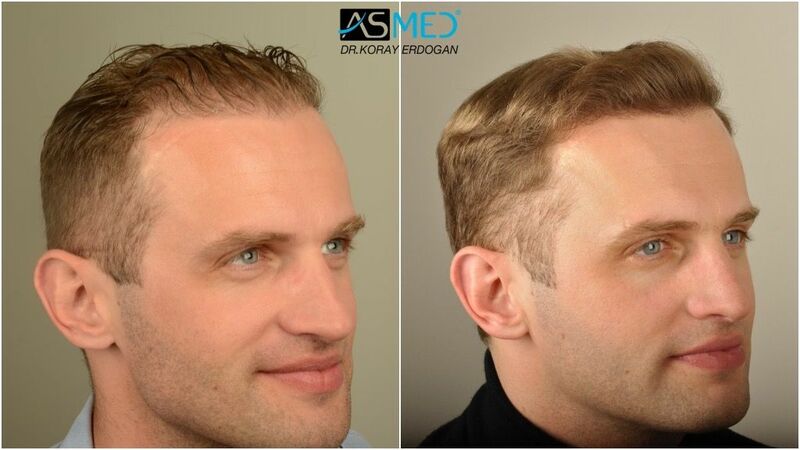 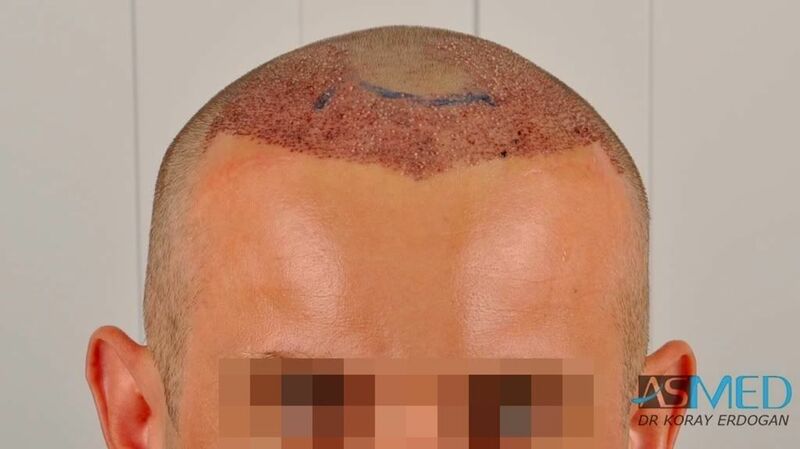 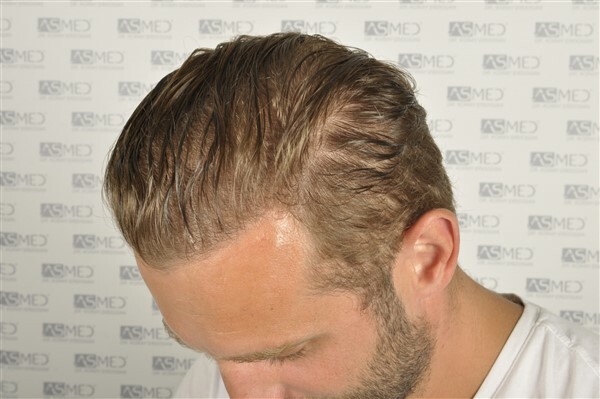 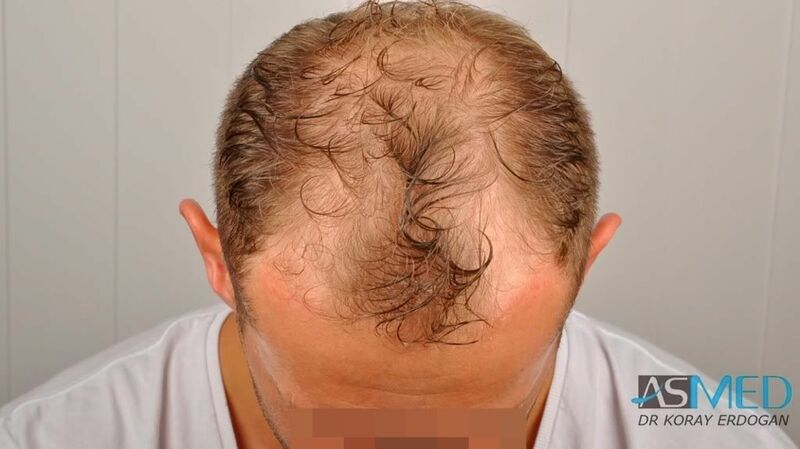 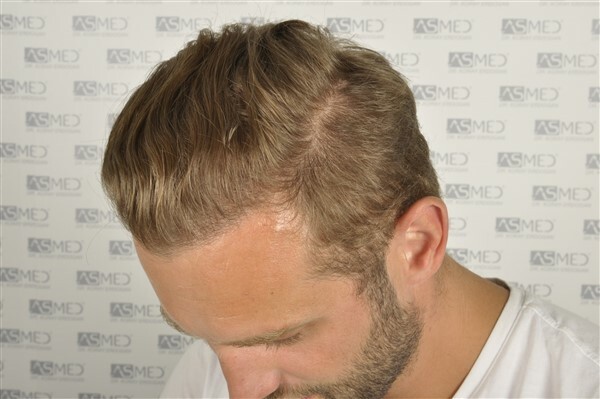 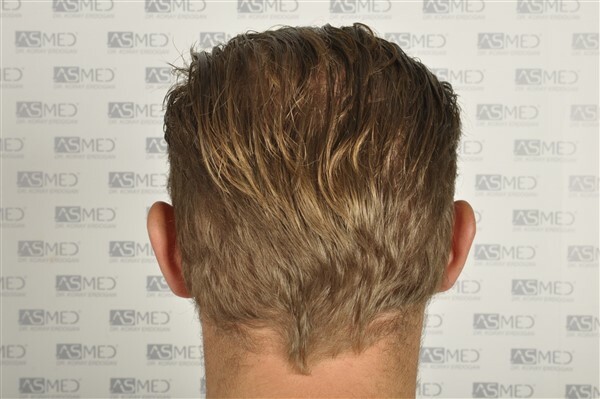 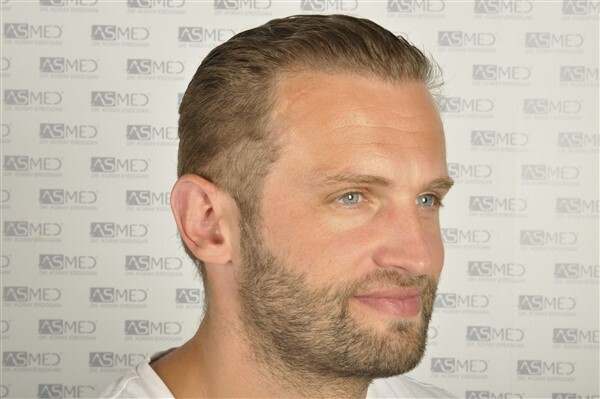 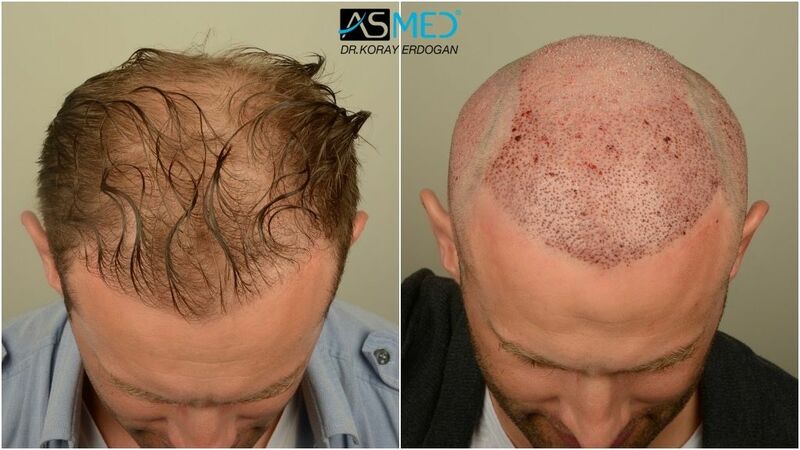 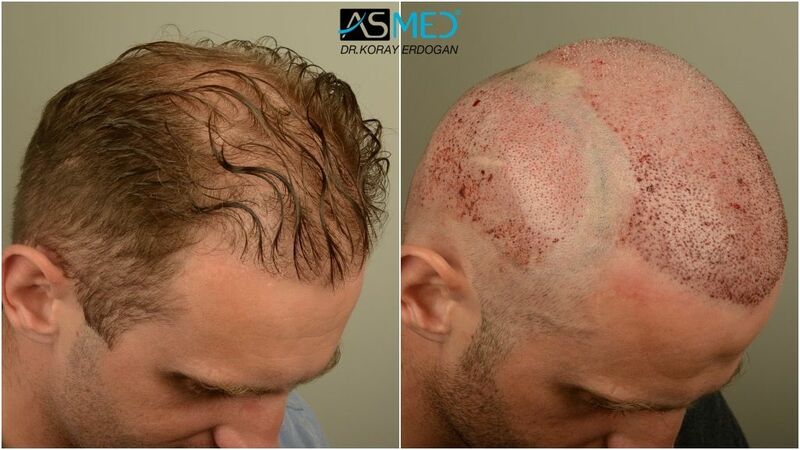 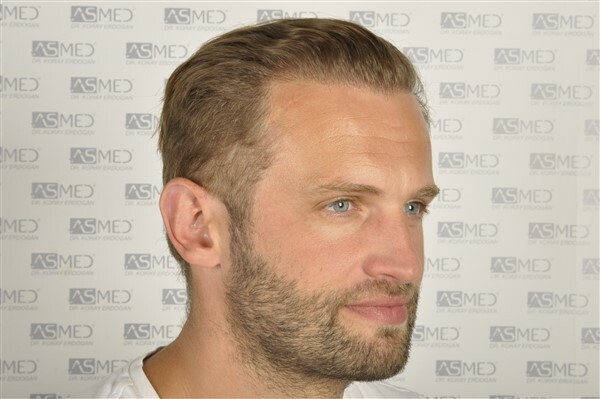 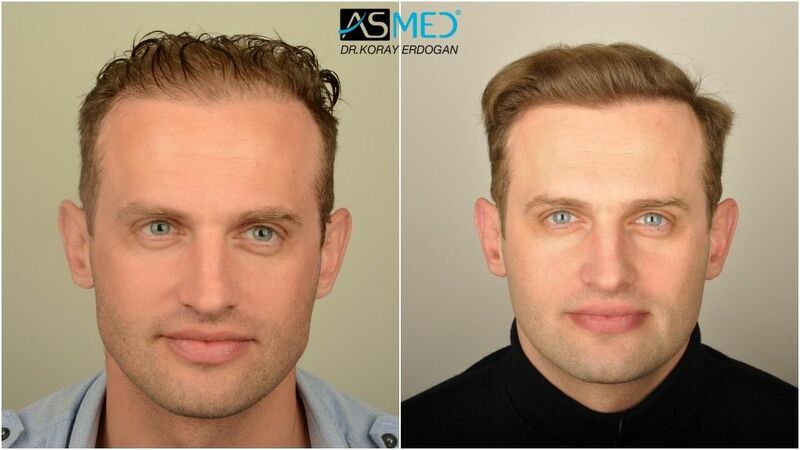 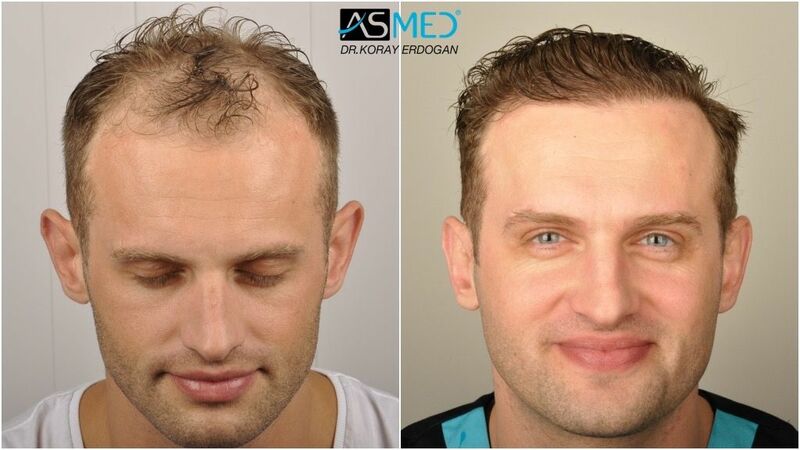 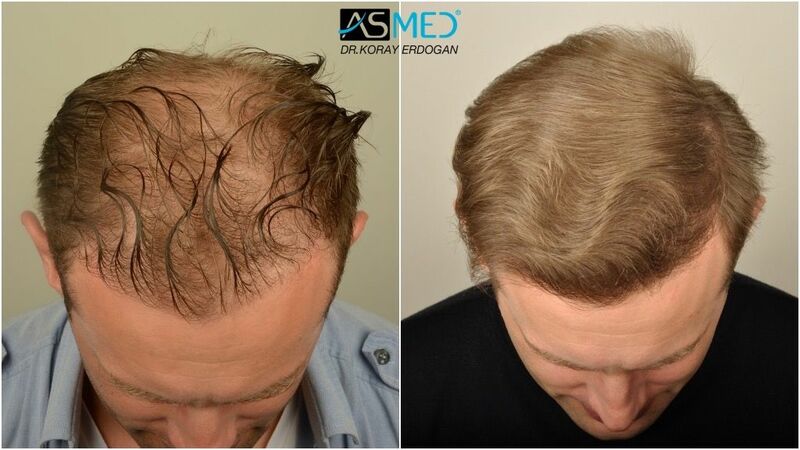 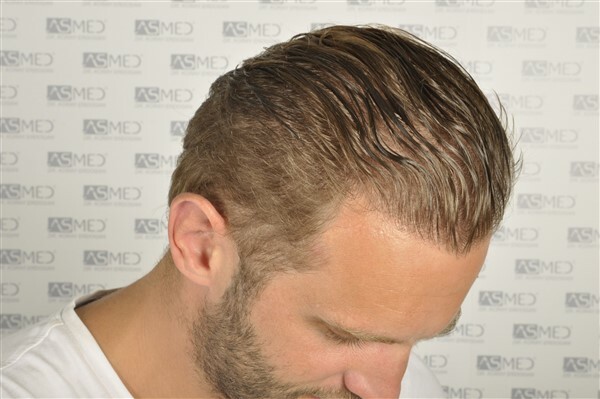 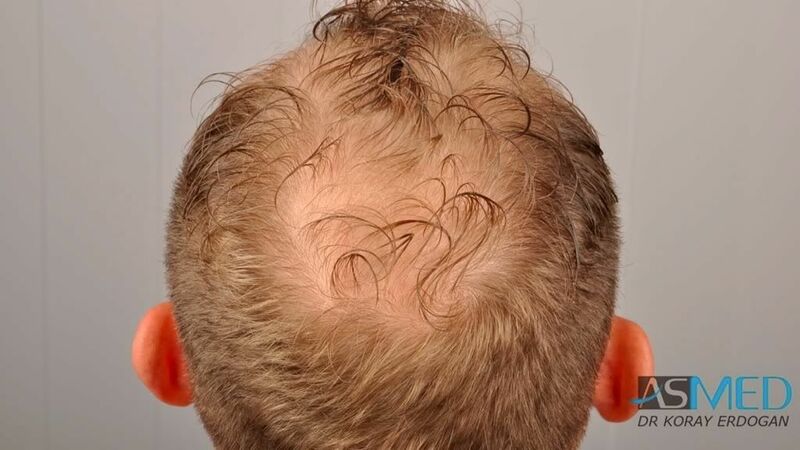 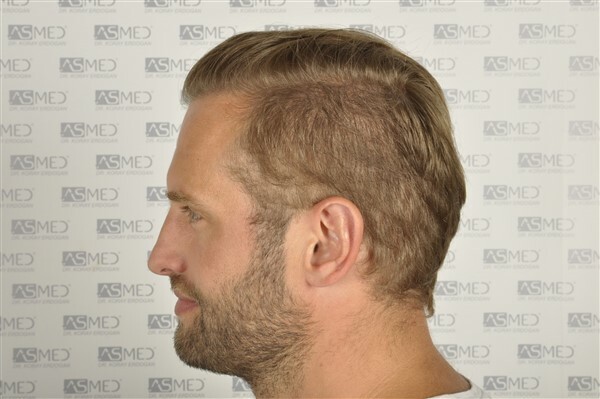 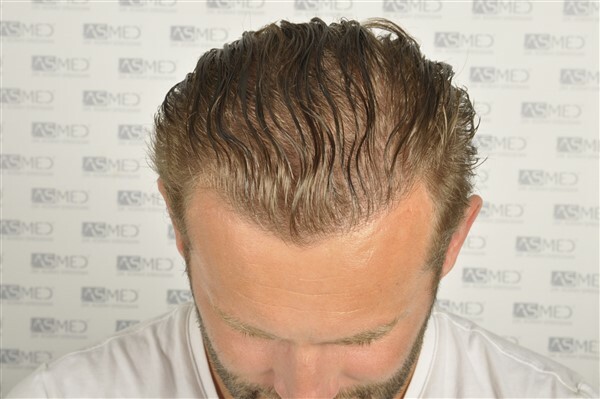 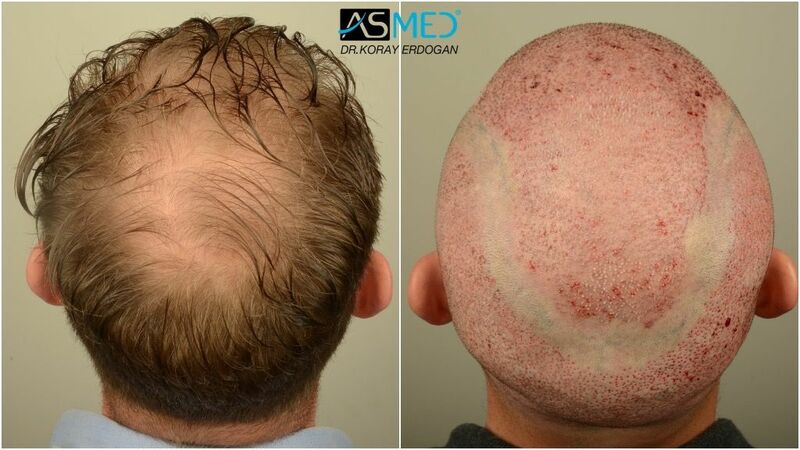 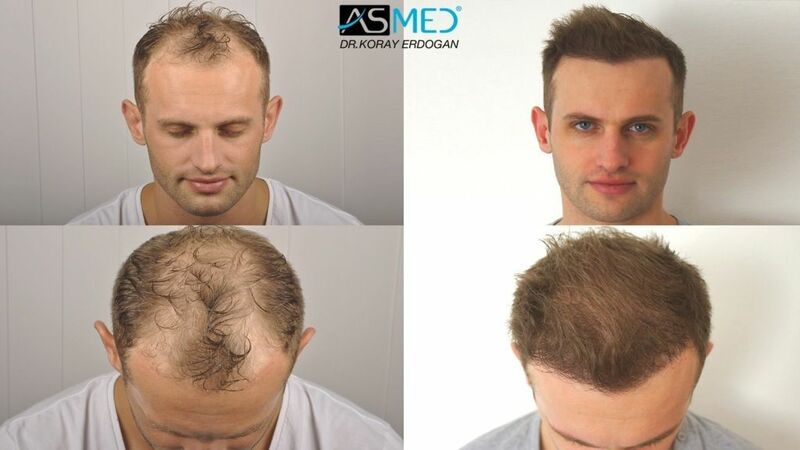 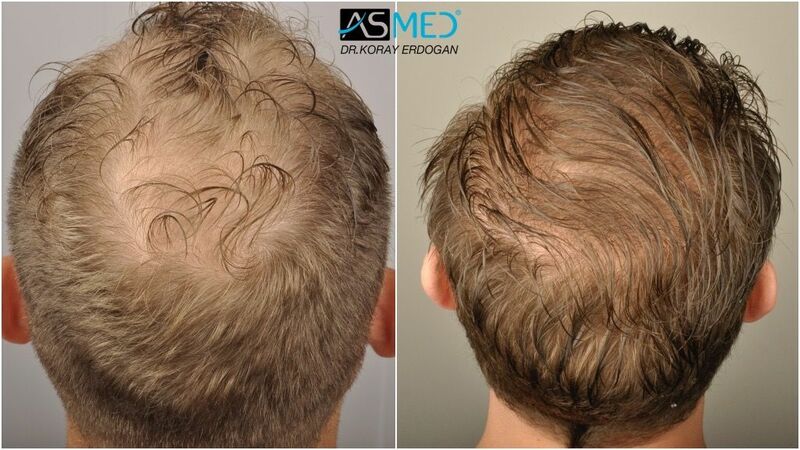 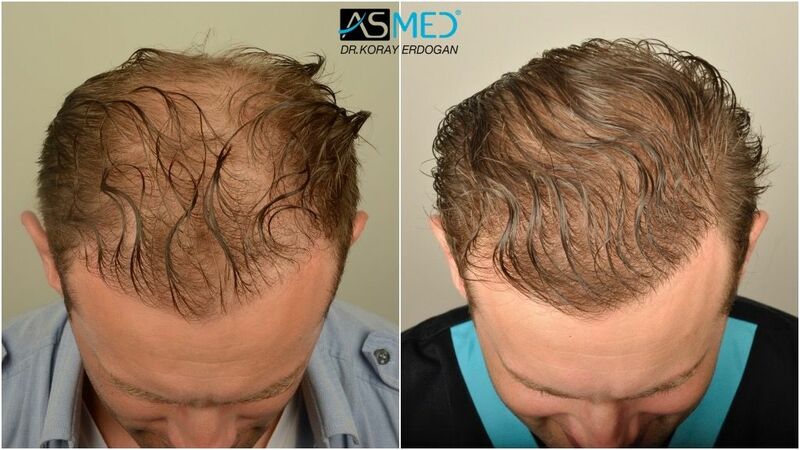 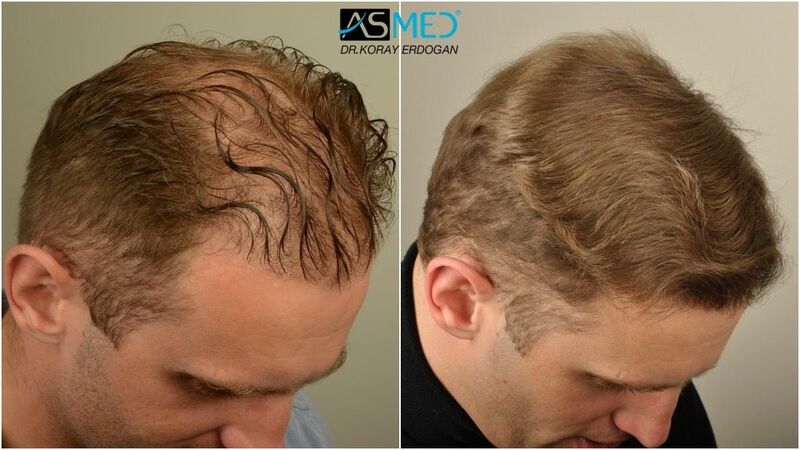 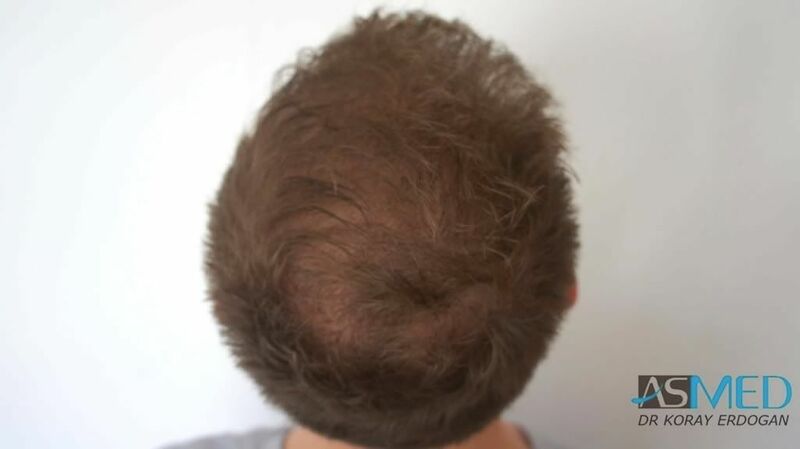 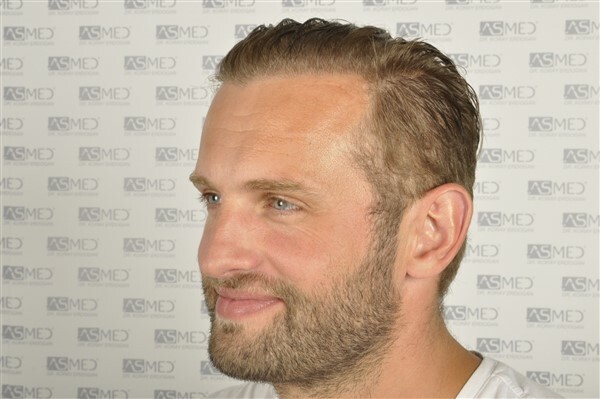 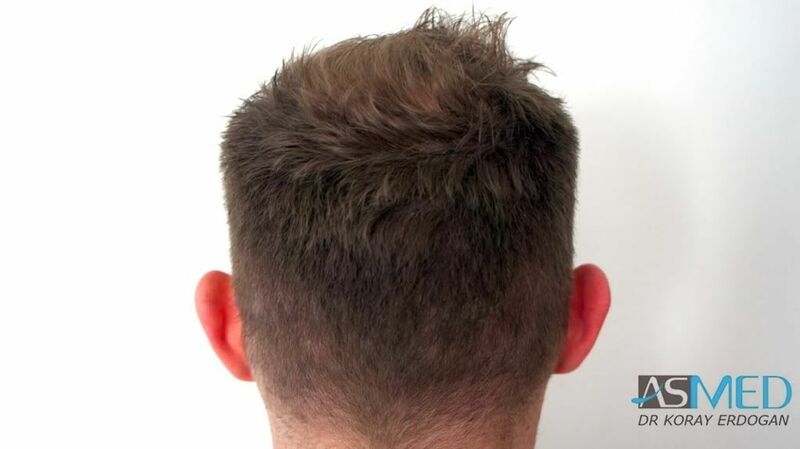 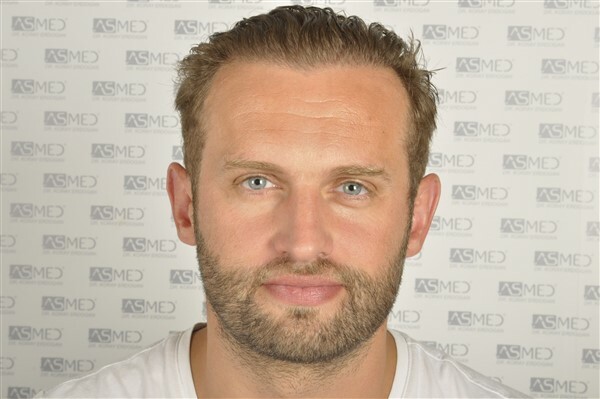 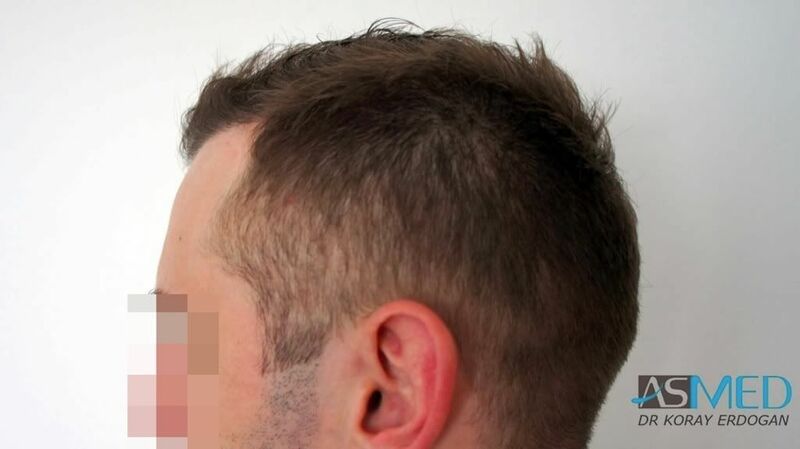 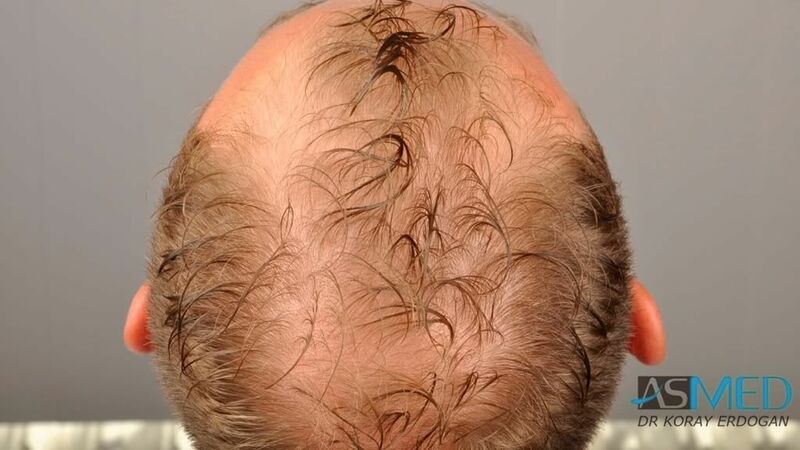 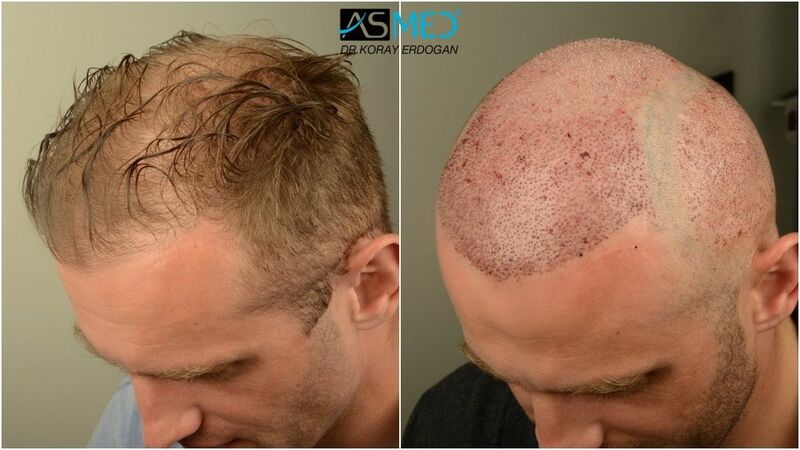 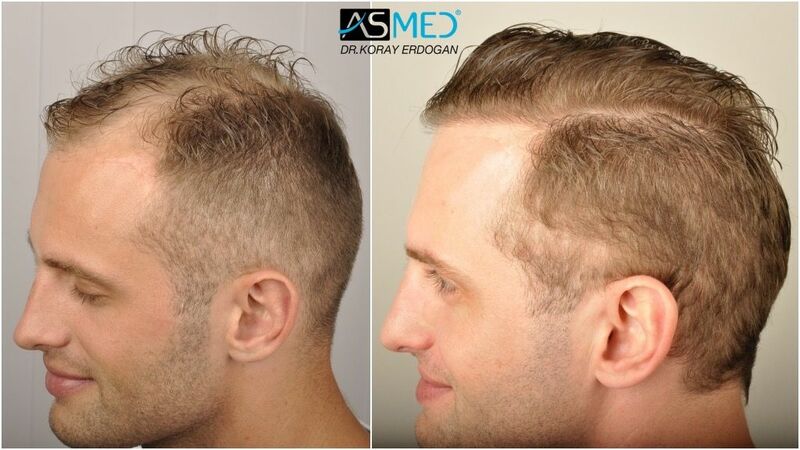 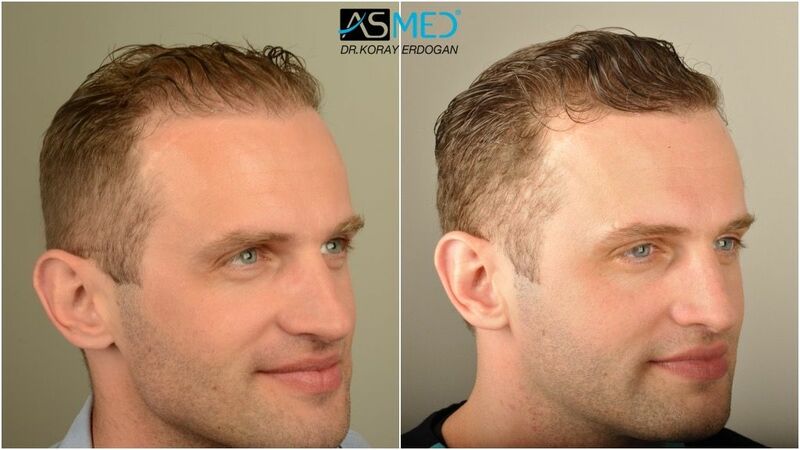 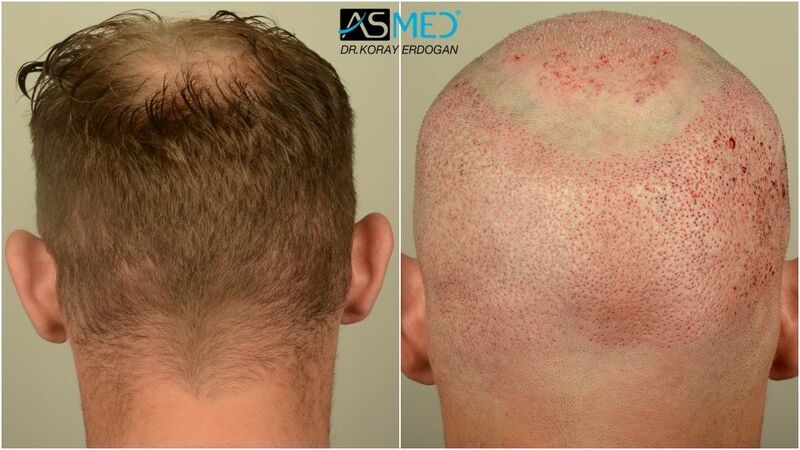 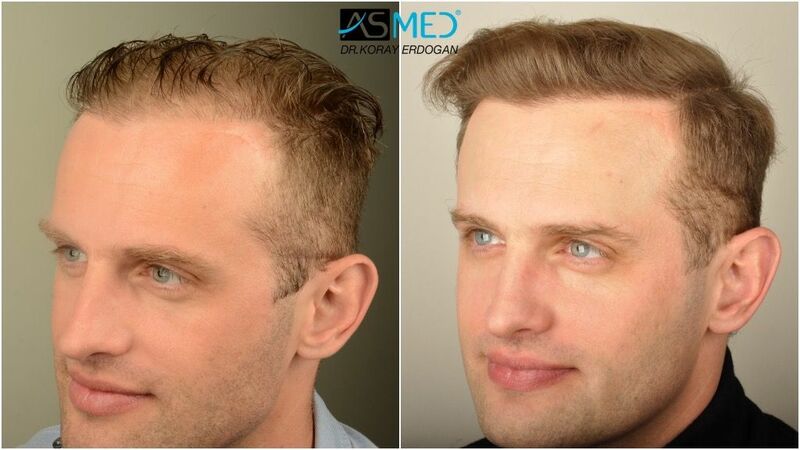 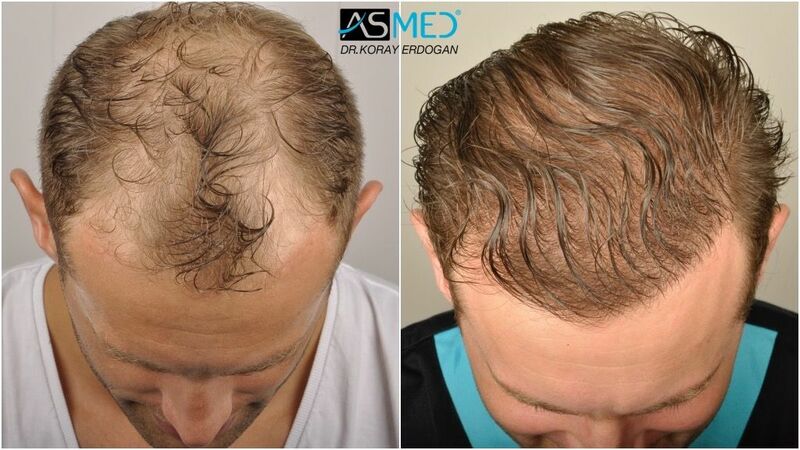 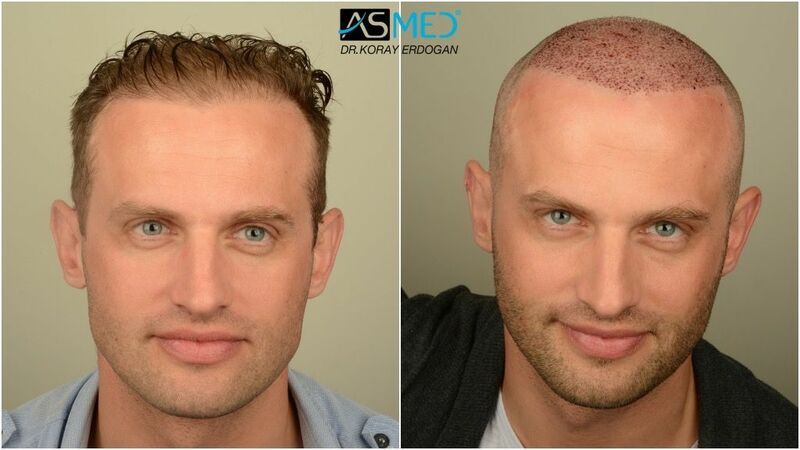 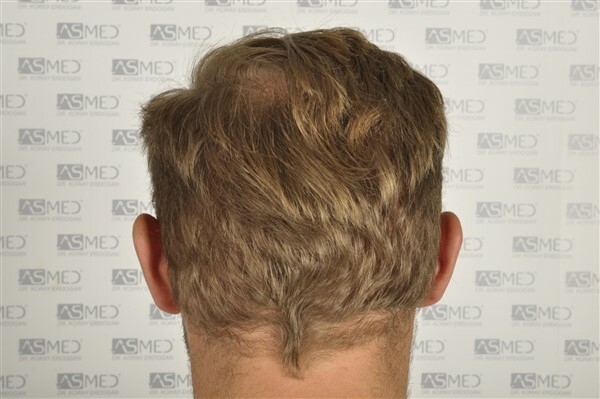 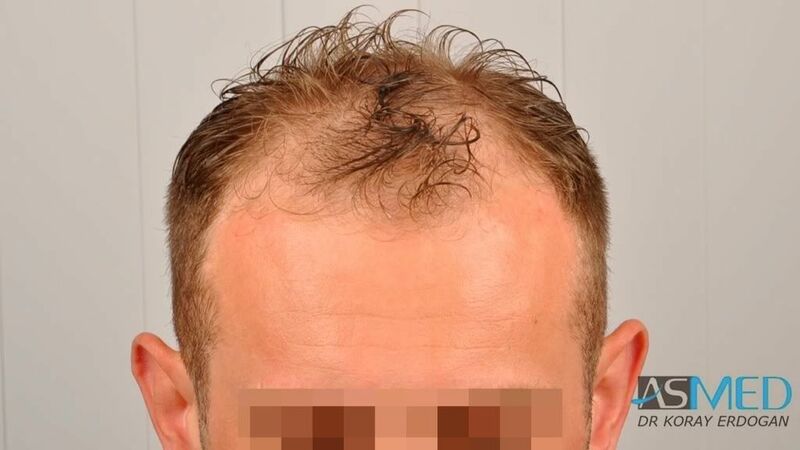 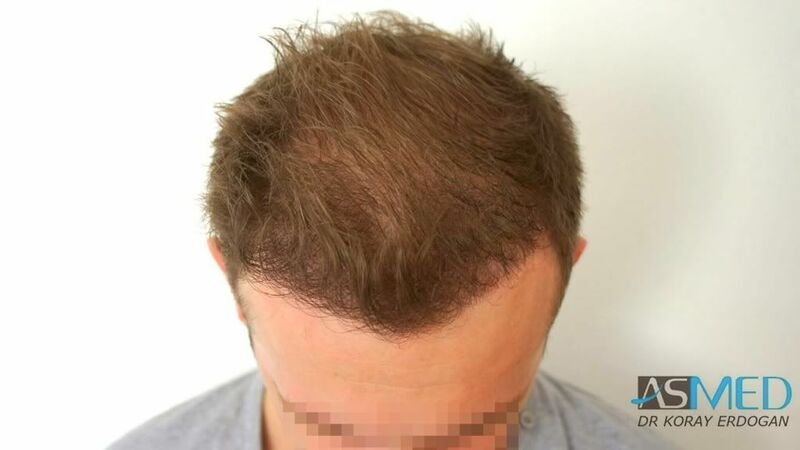 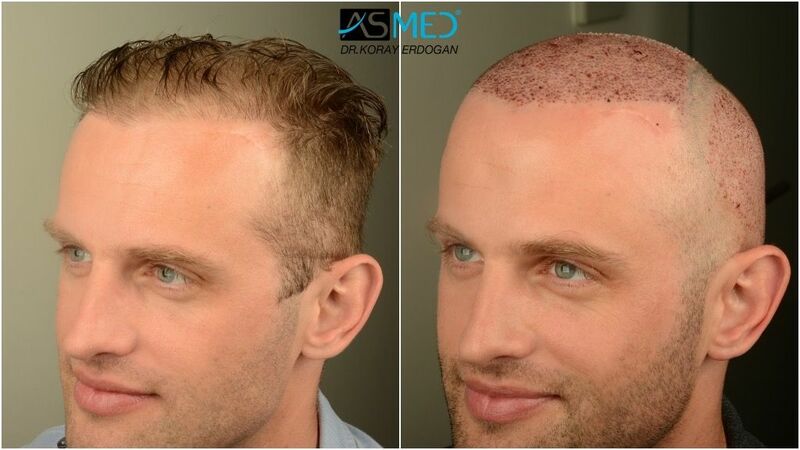 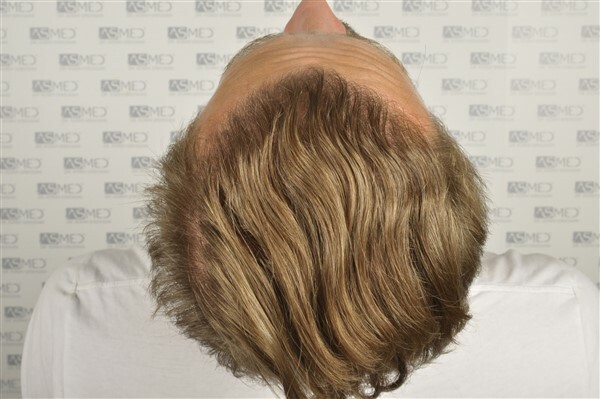 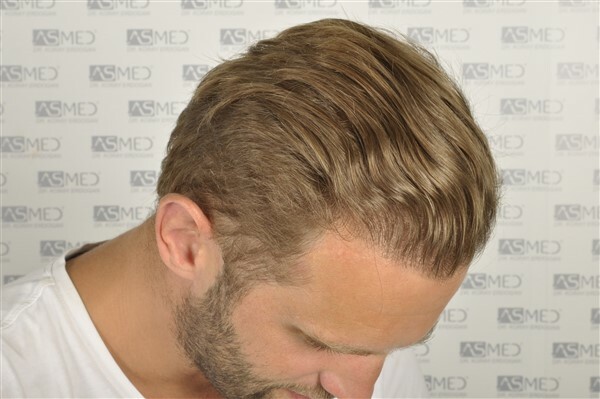 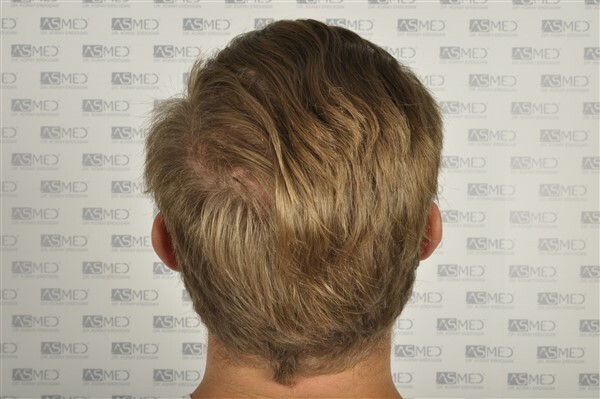 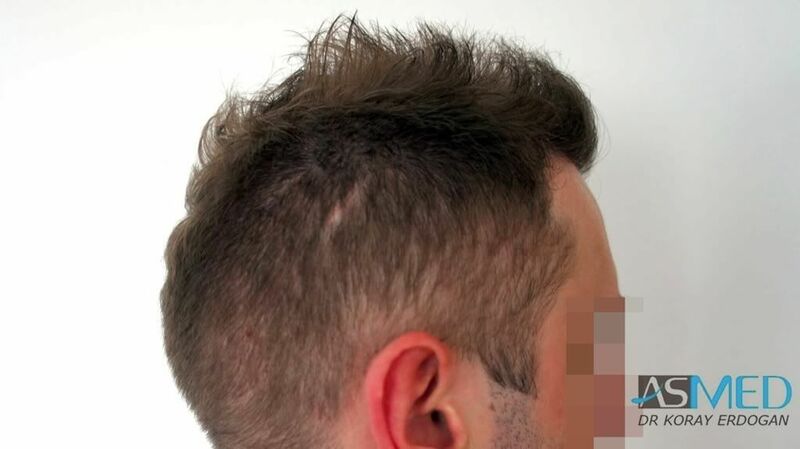 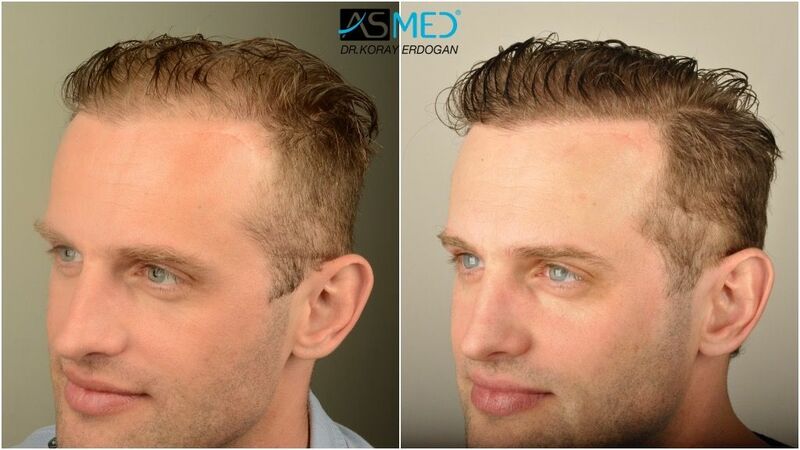 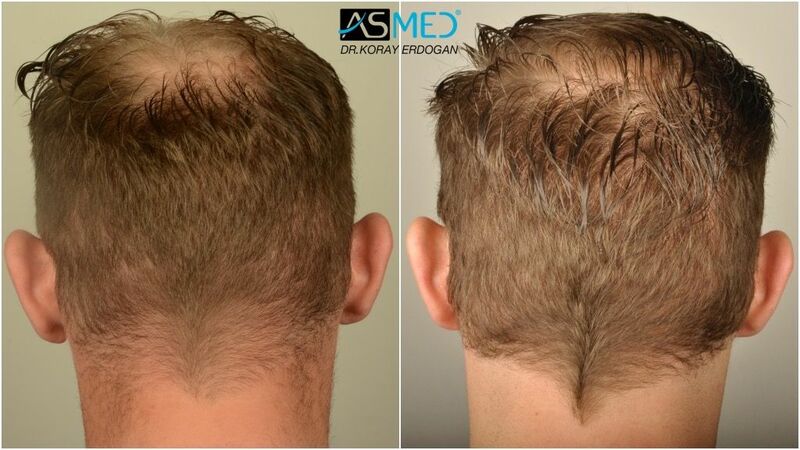 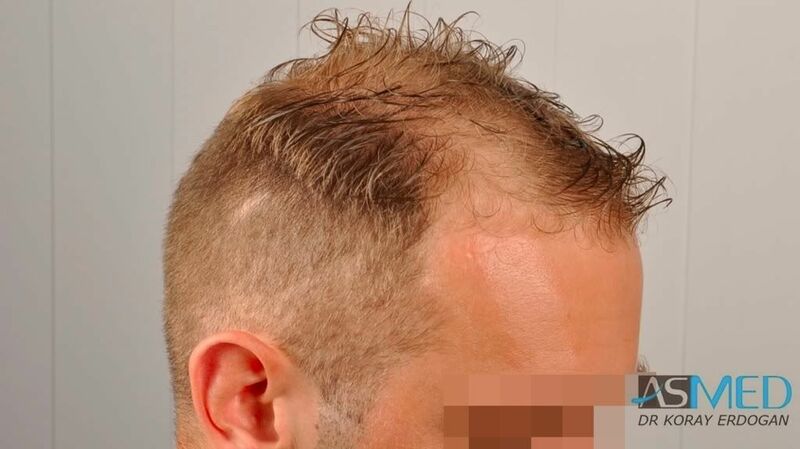 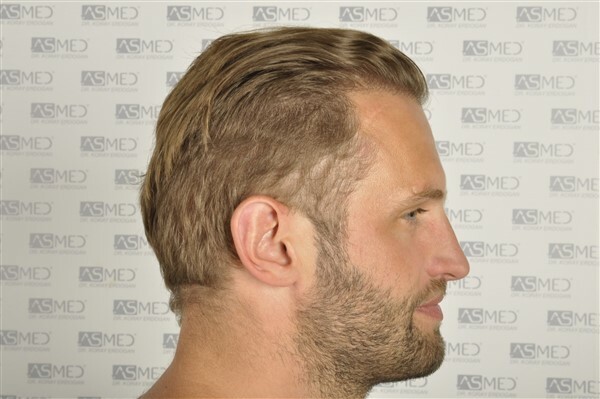 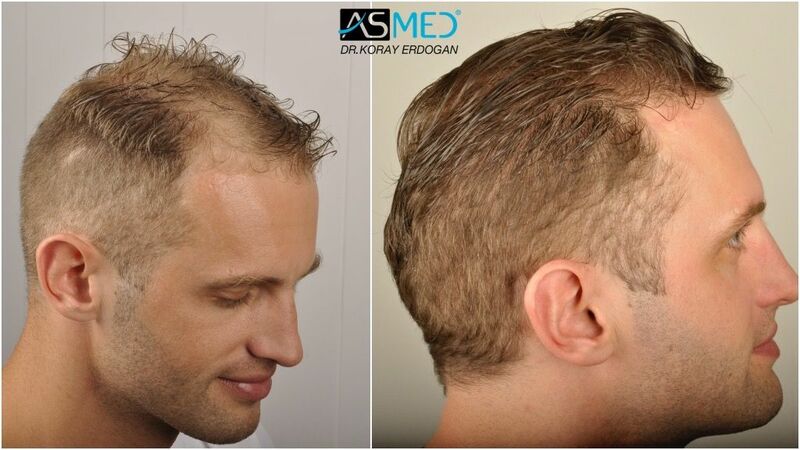 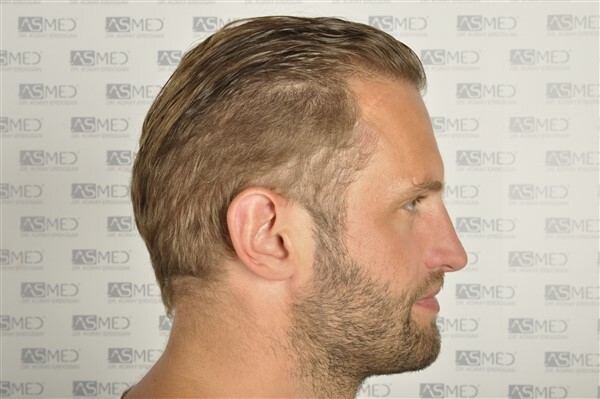 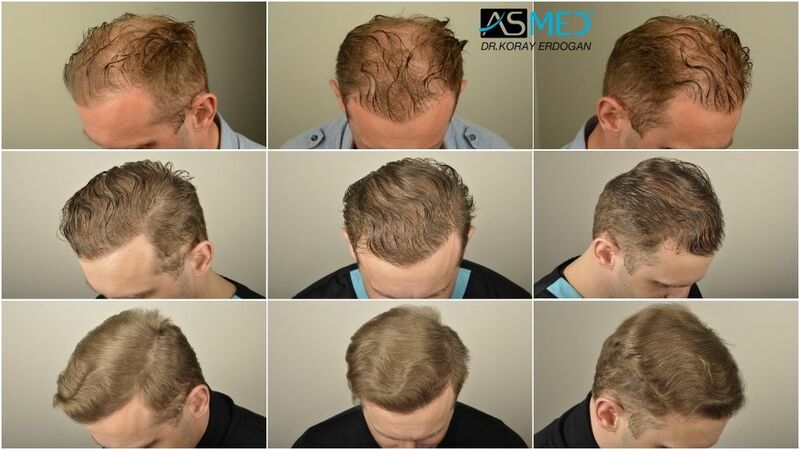 - OPERATION DETAILS: 4204 grafts FUE extracted by manual punch, diameter 0.6 - 0.8 mm. 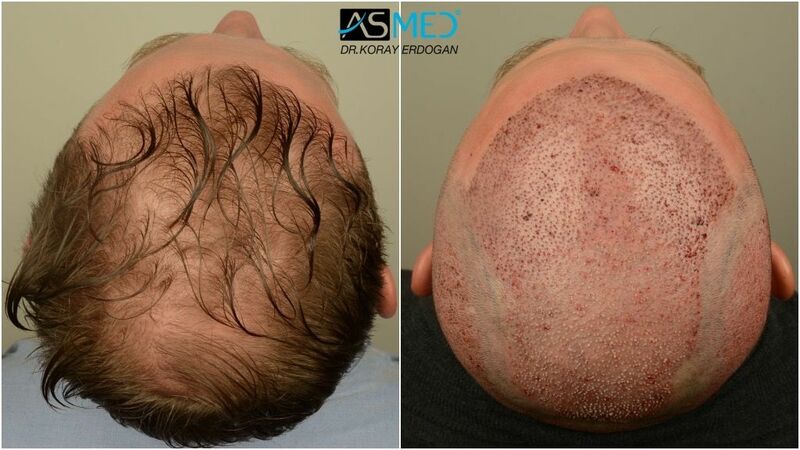 * The total donor capacity - 5000 grafts - refers to that before undergoing the second surgery; this means that the total donor capacity of the patient, before undergoing the two surgeries, was around 8000 grafts. 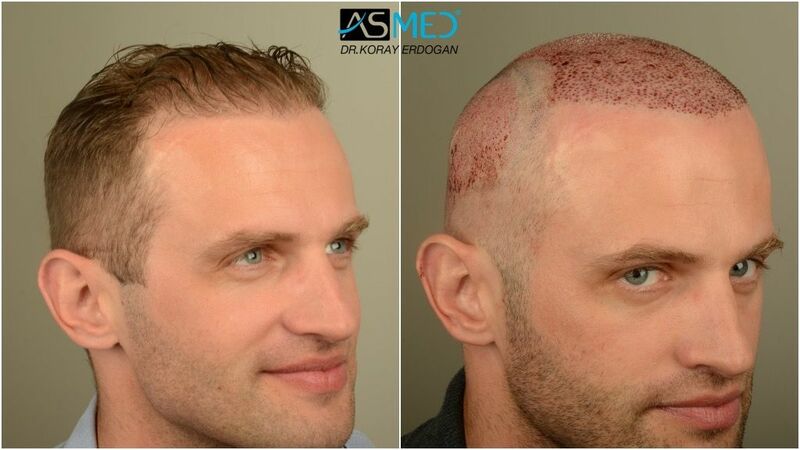 I remember meeting this patient in Istanbul last June. 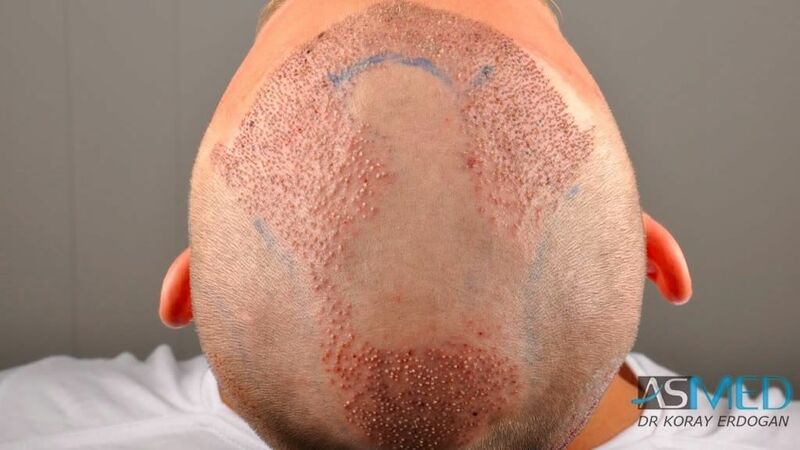 His result looks great in person, too. 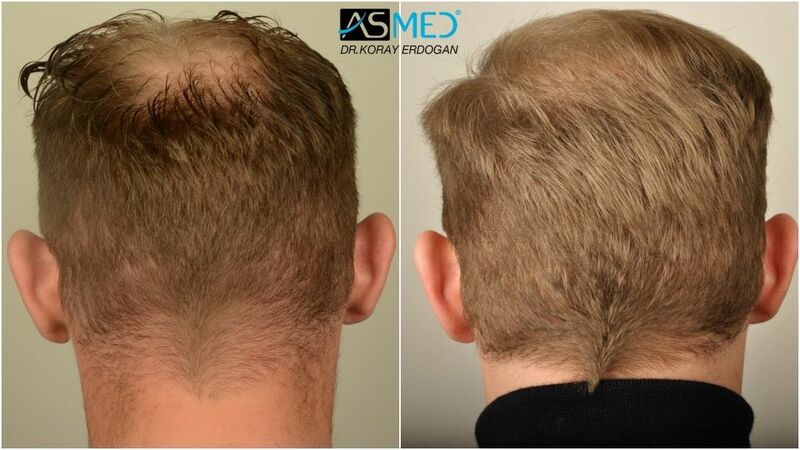 Again, well done by Dr. Erdogan and the team.